Perfume oil Ahlam Al Arab by Ard Al Zaafaran is a wonderful, gentle fragrance full of harmony with oriental tones. An amazing combination of citrus and oriental-woody notes that inspires! Mandarin and fruity notes in the top note convert rapidly to oriental spices, woody notes and cedar. The base is flattering soft with Amber, while musk gives the perfume a masculine touch. 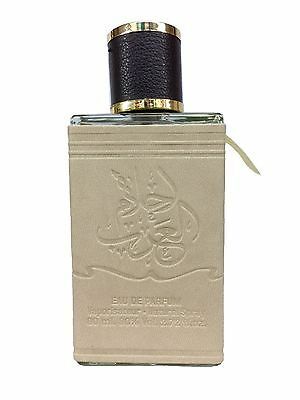 Ahlam Al Arab - An impressive, sensual and masculine fragrance.